When I was 12, I starred in a local community theater play. All that star power went to my head, but I kept it real by eating Mallow Cups. This marshmallow-y twist on Reese’s was always the right amount of sweet. It’ll be paired next. P.s. I couldn’t find these in DC. I had to go to flippin Michigan! 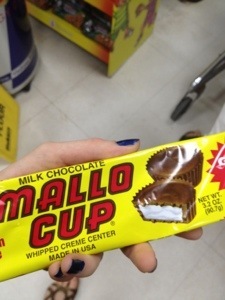 Posted in Uncategorized and tagged Mallow Cups. Bookmark the permalink. 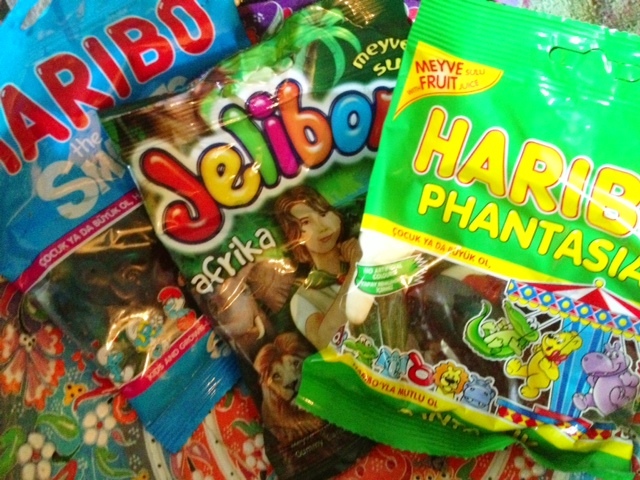 After a rather long break, I’m back and armed with many treats acquired in Istanbul. I’m typing this on my iPhone because I’m too lazy to start my computer and transfer photos there. It would be shameful, but I choose to ignore those feelings. Today’s pairing features some delectable pistachio chocolate paired with some Virginia Riesling. I don’t know if you can get pistachio chocolate where you live, but the Internet must have a way. If you can scrounge some up, I recommend trying this pair. I imagined that the sweet Riesling would enhance nuttiness combined with chocolate. 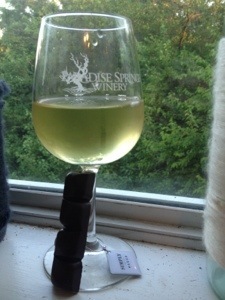 The tasty dry Riesling would aid a new nuance to the pistachio flavor while mingling pleasantly with the chocolate. After biting into the dark chocolate, I was instantly disappointed by the small number of pistachios. 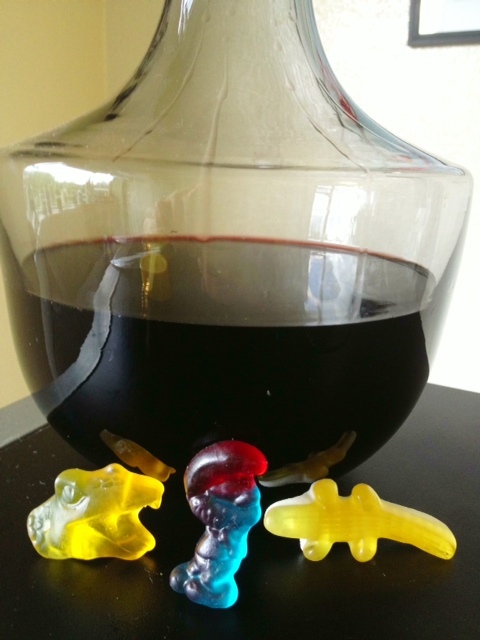 It basically was a Riesling – Dark Chocolate pairing. I was counting on the pistachios balancing out the chocolate to the point of almost overwhelming it. Not the case. The milk chocolate though had a great deal of pistachios. In one bite I could taste the rich, butter pistachios that were smashed close together. 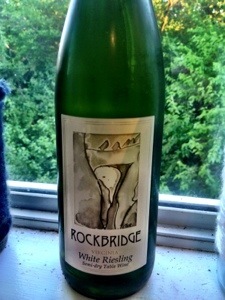 The Riesling then had a delight effect. The sweet wine added a lightness to the heavy and flavorful nut-chocolate combination. 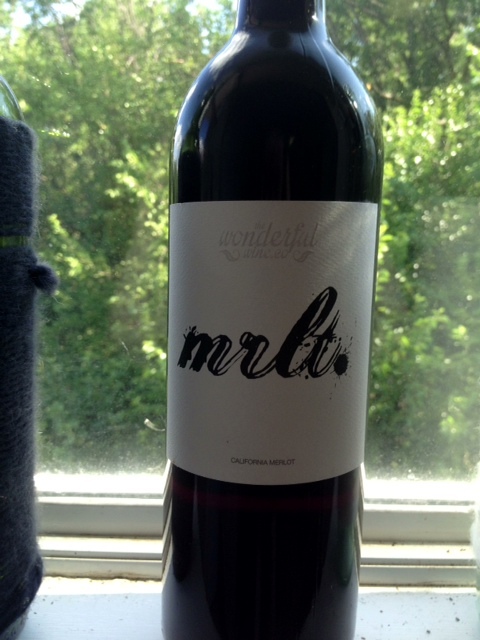 I think if the wine had been a bit more sweet, the take away would be even better. Overall though, I recommend it! Posted in Uncategorized and tagged chocolate, Pistacho, Riesling. Bookmark the permalink. Look forward to a new post featuring a pairing with these beauties! 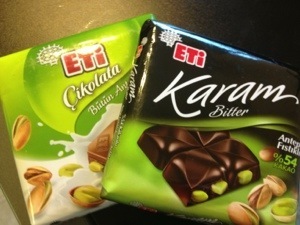 Posted in Uncategorized and tagged chocolate, Pistachio. Bookmark the permalink.